Any mention of Mardi Gras in the US usually makes people think of New Orleans. 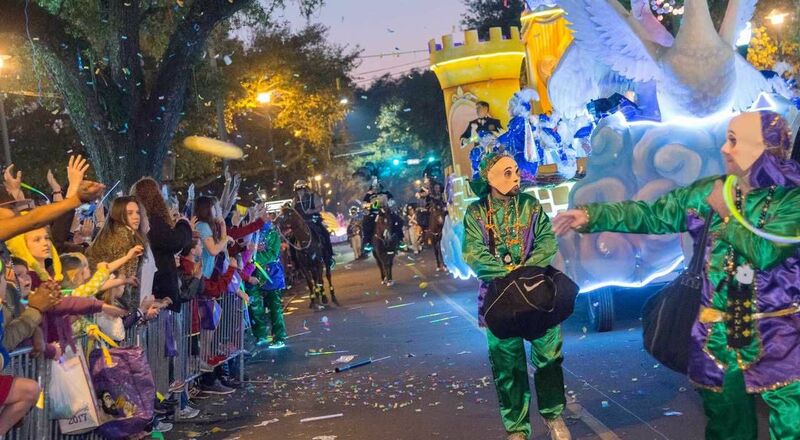 While the Big Easy has the biggest and most famous Mardi Gras party, the first official Mardi Gras in the US actually took place in Mobile, Alabama, in 1703. And while the wasted hordes on Bourbon Street flash their stuff for beads and cause all kinds of commotion, around a million people head to Mobile each year for the country’s original, and second largest, Mardi Gras celebration. They just do it a lot more quietly. 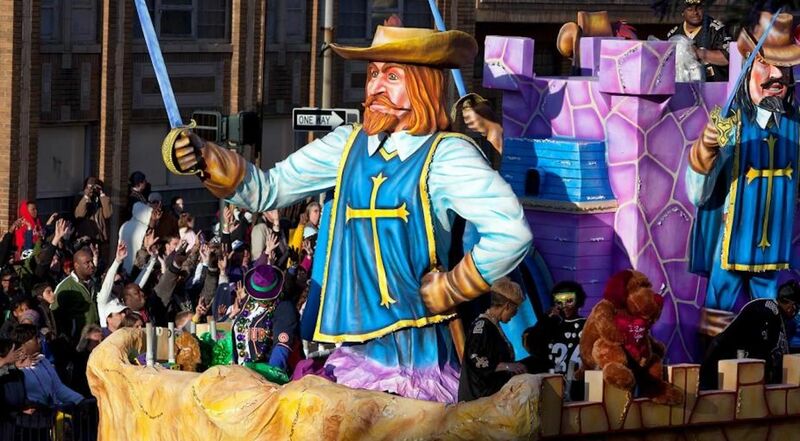 French settlers celebrated Mardi Gras in 1703 in what is now Mobile when the city was the capital of French Louisiana. The land passed hands from the French to the British to the Spanish, and eventually to the US, and celebrations varied depending on who was in control. In the 1830s, the first modern “society” (similar to the krewes in New Orleans) was formed and paraded the streets on New Year’s Eve. More mystic societies formed over the next couple of decades, all of which were white and male, until the Civil War. The year after the war, Mardi Gras was once again held. Only, this time, it had an anti-Union atmosphere. Joseph Stillwell Cain, a former Confederate soldier and former member of the Tea Drinkers Mystic Society, dressed up as a fictional Native American named Chief Slackabamarinico and held an impromptu parade through the city on Fat Tuesday in 1866. He and other former Confederate soldiers paraded with others again the following year, which set the tone for Mobile’s Mardi Gras parties through Reconstruction. Rather than being solely about religious aspects leading up to Lent, according to the Encyclopedia of Alabama, it was about the “Lost Cause,” which is a reference to the way of life in the antebellum South. Today, Mobile’s Mardi Gras still features a Joe Cain parade on “Joe Cain Day” that’s led by someone dressed as a Native American, and many of the festivities are segregated, as a 2017 New York Times photo essay shows. Mobile’s festivities have changed significantly since its early days. Although it shares some similarities with the party in New Orleans, there are also many differences. It all starts on New Year’s Eve. Every year since 2008, a 12-foot-tall, 600-pound lighted mechanical moon pie has descended on downtown Mobile from the 34-story RSA Bank Trust building at the stroke of midnight. The world’s largest moon pie is then cut and served to the public as part of festivities, marking the unofficial start of Mardi Gras season. Mobile’s Mardi Gras parties run from mid-February through the Tuesday before Ash Wednesday. 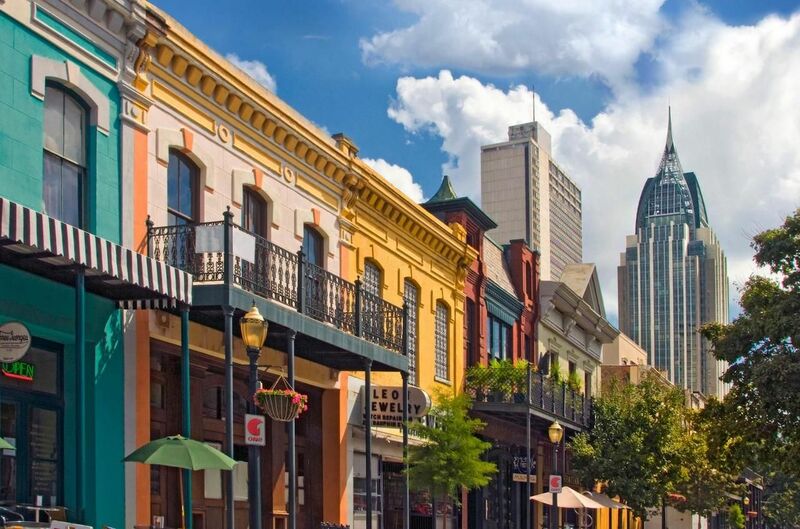 In general, it has the drinking, eating, and hard partying like New Orleans, but is more family friendly — and you don’t have to flash anyone to get beads. Stop by the Mobile Carnival Museum for a full history. This museum showcases the celebration from start to finish, with stunning gowns and tuxedos complete with fur and diamonds. Posters, ball invitations, and historic mystic societies are honored, and the interactive exhibits include a life-size float where you can throw beads to your cheering crowd below. 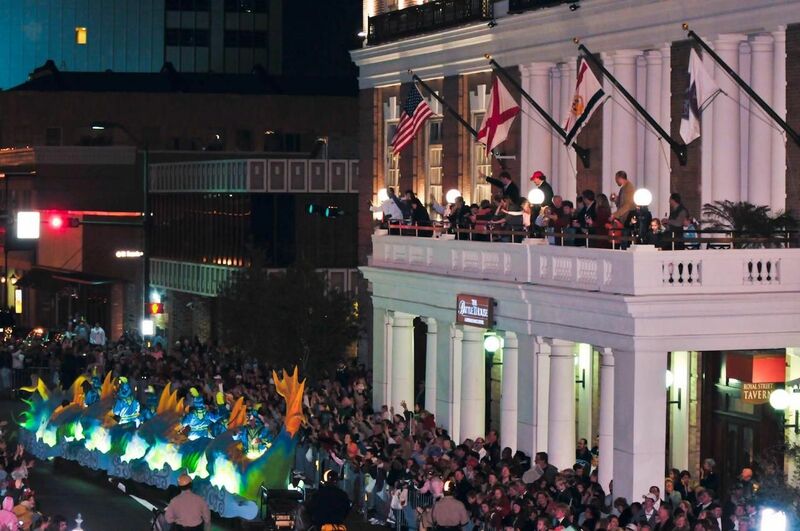 Mobile holds around 50 parades during Mardi Gras season, and up to 10 a day starting the weekend before Ash Wednesday. Many of the parades and events are organized by the more than 70 social clubs called mystic societies, all of which organize their own events. Some of the oldest societies date back to the late 1800s, but there are also relatively new groups such as historically black societies like MLK Mondays, an LGBT crew named Order of the Osiris, and women-only crews like the Order of the Mystic Magnolias. Plan to spend your entire Mobile Mardi Gras days at parades. People who arrive the earliest can set up chairs to sit in, while later arrivals can stand behind. If you make the proper arrangements, you can watch from a rooftop or porch. Open containers from licensed bars are allowed on the streets in some areas, while others ban public drinking. The official city of Mobile website has a map of the parade routes and which areas allow alcohol. Be sure to bring a bag to carry all the things you catch as they’re thrown into the audience from passing floats, and show up early for the full experience (and to maximize your takeaway). In addition to beads and moon pies, the goodies also include T-shirts and stuffed animals. Marching bands perform in between the grand floats, often tossing items to match the theme of their performance. Some get techy and create 3D high-definition painted floats or have movie themes like Star Wars or The Joker. 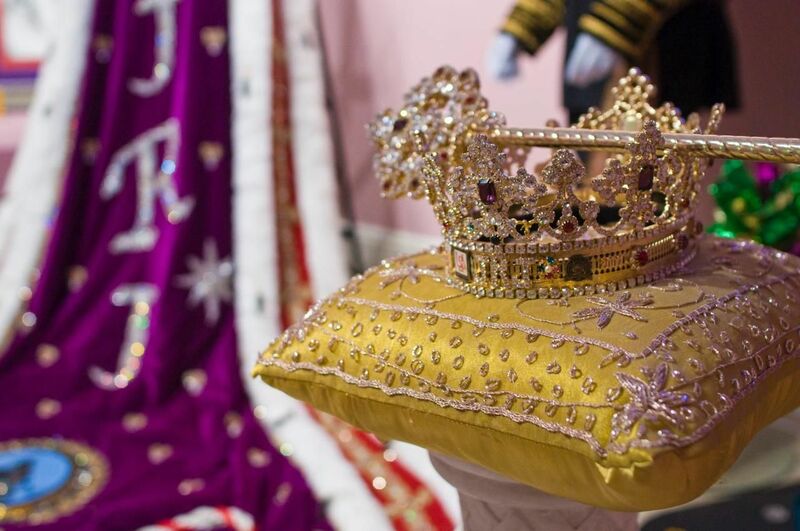 Most mystic societies throw a ball where the king and queen of the group are crowned. Many of those are secret and members only, but a few welcome guests willing to pay a cover charge. Just be sure to dress appropriately, as they’re generally fancy affairs. It’s like prom, but with a rich history and high stakes. What’s all this talk about moon pies? 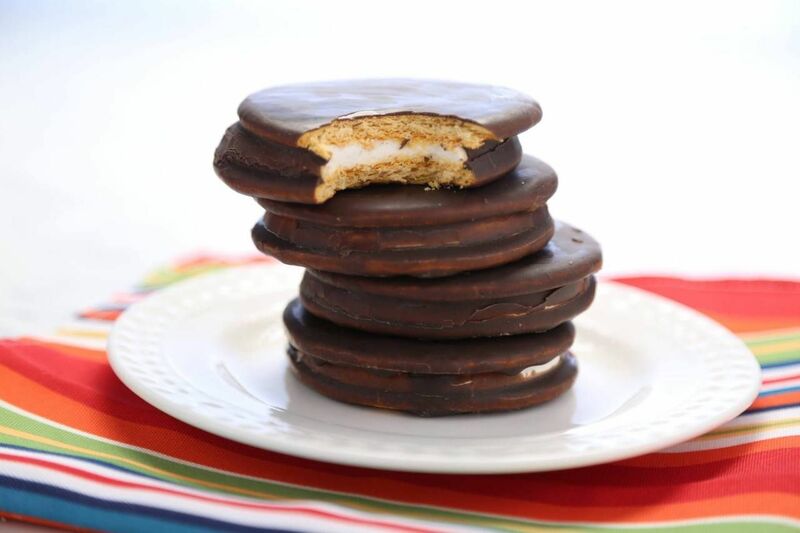 A classic moon pie is a chocolate-coated graham cracker cookie with a marshmallow filling invented by the Chattanooga Bakery in the early 1900s. They started to be thrown from floats in the 1940s alongside the other popular float-thrown food, Cracker Jack boxes. Moon pies and their spherical, non-eye-poking design eventually usurped Crack Jack boxes as the tossed edible of choice. You can get a moon pie pretty much anywhere during Mardi Gras, but the preferred method is to stand streetside at a parade and raise your arms to the sky.